Ideal for splicing pond liner with stream liner. Super sticky for easy & quick use. Ensure a seal every time. 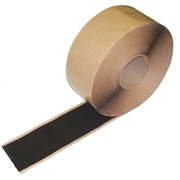 Double Sided 3″ Seam Tape features an easy to use “Peel & Stick” method of splicing together EPDM pond liners.